I arrived in China a little over a month ago and I am still in shock by the things that I discover. I regularly see things like stinky tofu that you can smell a block away, or split pants that parents put on their child so that they can use the bathroom in the streets, garbage cans, or, quite frankly, anywhere. Traffic and waiting in lines is a whole other story. If you ever get the chance to visit China you will need to know two very important things: Cars before pedestrians and no one cares about your spot in line. As a pedestrian, it can be a bit annoying at first, waiting forever for the cars to let you walk, but do not ever attempt to cross the street without a red light, unless you do not mind playing a game of human frogger. If you are waiting in line, remember, no one cares about your spot in line because they will skip you and everyone else if they want. So, be ready with your money or ticket to show them you are not slow poking around. Once you get the hang of everyday life, your experience in China only gets better. Like shopping? Come to China, there are malls everywhere! If you are into the night life, definitely come to China. Same for history, China’s full of it: the Forbidden city, the Tiananmen Square, and the museums. The best part about it is that they are all relatively cheap. If you would like to just sightsee, then places like Zhouzhuang (the Venice of China), Shanghai (the Paris of Asia), Hangzhou and definitely Beijing should be on your list. Lastly, everything you have heard about the food is true. It is delicious. I spend, on average, $3 for a meal and I have never been more satisfied. Unfortunately, I have to break it to you, General Tso’s chicken does not exist here. Thankfully, there are many more dishes that make up for that. I can hear the traditional music outside my dorm room now, which means Tai Chi sessions are going on in the field again. 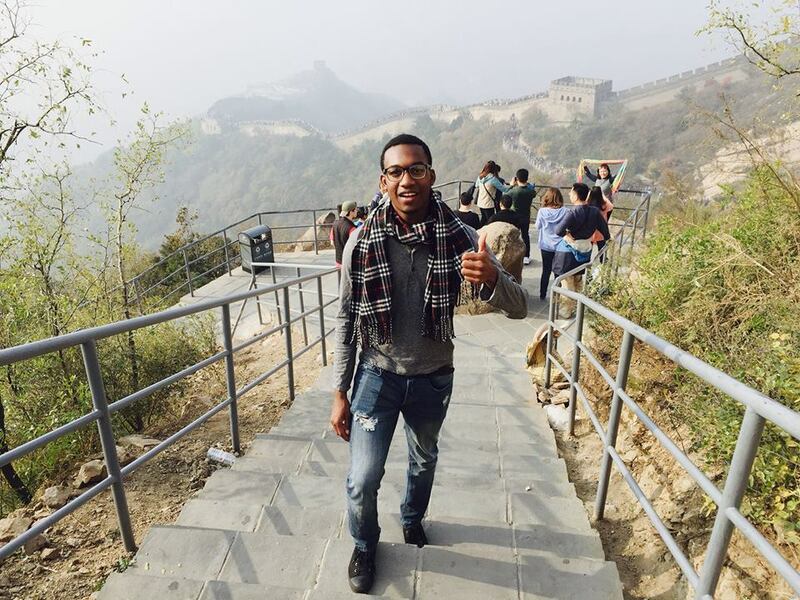 Queriontae is a guest writer for the College Days documenting his travels in China.